Lex Veldhuis was born in Vlissingen - a small harbor town on the southern coast of Holland. As a child he loved playing sports and his competitive instincts soon switched to computer games. He began with Nintendo and quickly graduated to complex strategy games like StarCraft. Lex played his first real money hand at PokerStars in 2005, and the rest is history. Online Poker quickly found out about Lex Veldhuis as he worked his way up the cash limits crushing the games on his way. He now multi-tables the highest limits online, has plenty of big tournament results and has topped the Tournament Leader Board twice. Lex has also played on the live scene for a number of years, and has found success in Europe and in the US. He started his live career in the card rooms of Holland and France, and he was eager to get out to Las Vegas as soon as possible. There, he made cashes in the big tournaments at the Bellagio, Mirage and Mandalay Bay. He’s also made several cashes at the World Series of Poker*, the highlight of which was a deep finish at the 40th anniversary tournament in 2009. That tournament had a $40,000 buy-in and attracted the world’s best players. Lex made it to the final table, finishing in seventh place for the biggest cash of his career and $277,939 in prize money. He now splits his time between Las Vegas and Rotterdam and enjoys the life of a jet-setting poker pro. He did start a degree in Criminology at Erasmus University in Rotterdam, but left his studies behind as his poker career took off. It’s something he might return to, but for now the biggest games online are where you will find him. 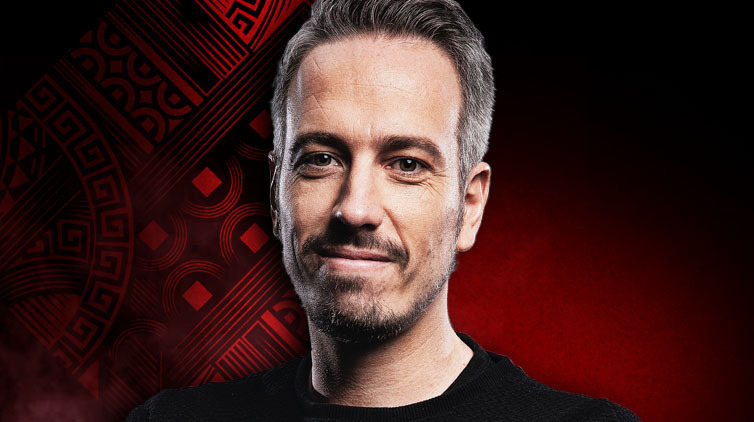 Lex Veldhuis plays online poker only at PokerStars and you can find him under the screen name ‘L. Veldhuis’.